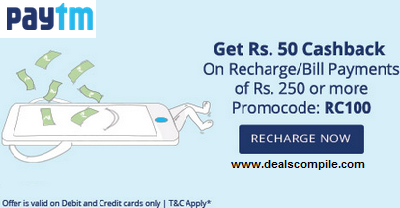 Offer : Rs 50 Cashback on Recharges/bill payment of Rs 250. -Can be used 2 times per user. -Valid on both app and web.